In all my years of experience watching Korean dramas, I have never tried watching a weekend drama, let alone a family drama, as these usually tend to be over fifty episodes long. However, while I was looking for a fun drama to watch, I decided to try out a family drama that I have heard a lot of praise about- “My Father is Strange”. Due to its length, it took me more than two months to finish it, but even though the show itself wasn’t always perfect, it was an amazing and fun ride that had great, flawed and relatable characters that had great character development throughout the entire show. “My Father is Strange” aired from March 4 to August 27, 2017 on KBS, and had a total of fifty two episodes. The show tells the story of the Byun family and their extended household, and how they are affected after former singer turned actor Ahn Joong Hee(Lee Joon) turns up and reveals that he is the lost long son of the family patriarch. 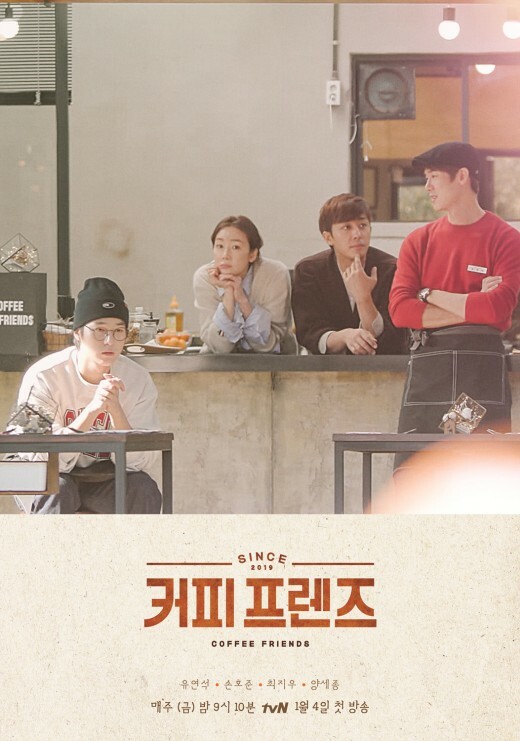 The show also starred Kim Yeong Cheol as Byun Han Soo, the family patriarch and owner of “Father’s Snackshop”; Kim Hae Sook as Na Young Sil, Han Soo’s wife; Min Jin Woong as Jun Young, the oldest child in the Byun family; Lee Yoo Ri as Hye Young, a lawyer and the eldest sister of the family; Jung So Min as Mi Young, a former judo player who is struggling to find a permanent job; Ryu Hwa Young as Ra Young, the youngest Byun child. I didn’t know what to expect at first, this being my very first family drama. After a while, I realized that since they have more episodes to tell an entire story, the show set up each character, each family, and teased each love line to expect moving forward, while slowly moving the plot forward with Joong Hee learning that Byun Han Soo is his father, which ends up with him moving into the Byun household. I actually ended up watching this drama in batches, or chapters, if you will. For example, I paused a little until the episodes before Joong Hee moved in, then I continued on until a certain plot turning point, and then I watched the episodes leading to the endgame of the story altogether. There were definitely moments which I did feel were too long drawn out, and there was a whole bunch of episodes that focused on Hye Young’s future mother-in-law that I really wanted to fast forward as I did get annoyed with her, but later on, you’ll see that those points were really important as well in order to follow her own character development. The extended Byun family parts were parts that I did enjoy, although I also could have done without it, but I did like seeing how these different family units also took things in stride when things happened to them as well. I was impressed at how much character development they gave us, as by the end of the series, all of them had grown and developed in particular ways. These characters were definitely very flawed, but they were all relatable as well. I also liked how they addressed different issues and topics in this drama, which ranged from bullying to pregnancy in the workplace. This show also showed us a wide range of couples and relationships, and how each one dealt with life, especially when it threw them curve balls that they didn’t expect. However, most of all, “My Father is Strange” shows us how families cope and deal with things that happen to them in life, whether those things are good or bad. And of course, this show has a lot of warmth and heart, as it is a family drama. The acting was on point in this series. Lee Yoo Ri and Ryu Soo Young (Cha Jeong Hwan) relished each and every moment they had on screen individually and as a couple. Lee Joon was a standout as he was able to play Joong Hee to a tee, from his bad attitude front all the way to his charming, adorkable and romantic side. Jung So Min was great as the obedient third child who had to learn how to stand up for herself; and Ryu Hwa Young impressed me with how much depth she gave to a character I didn’t think would have much depth to her. Despite the staggering amount of episodes this show has, “My Father is Strange” is definitely worth the watch, and by the end of the series, you would have felt as if you were definitely a part of this awesome clan. Now, you know the drill! If you haven’t seen “My Father is Strange” yet, turn around now and watch it, as there will be spoilers ahead! One of the best things about this show is the warmth and love that everyone in the Byun household has, from the extended family, all the way to the moments when all the partners of Byun children are around. This kind of family, one that has strong bonds with each other and is there for each other no matter what, even if you do occasionally fight and disagree with each other, is the kind of family that everyone wants, regardless of their financial status. Aside from the family dynamics, I loved seeing Han Soo’s and Young Sil’s relationship with each other, as they support each other through thick and thin, and no matter what age they are, they are able to outwardly be romantic with each other. This relationship is truly one for the books, and they definitely set a great example to others out there. I have never heard of Lee Joon before, so seeing him here was a revelation to me. He embodied Joong Hee so well, from his misplaced confidence and arrogance, to his earnestness to get that role in “Oh My Boss”, to his earnestness in trying so hard to be a better actor even though he was horrible, to his bad acting, to his softening up and become adorkable after finally receiving a family’s love, to his being able to charm almost anyone and being romantic towards Mi Young in the end. I am definitely looking forward to watching other projects he has been in in the future! Lee Yoo Ri was just plain amazing as the confident and sassy Hye Young, whose determination knows no bounds at all, to the point that she is able to put her own in-laws in place. She relished every moment she has on screen, and she and Ryu Soo Young looked as if they had a blast, and their chemistry with each other was just amazing! I’m glad that Hye Young found her true calling in the end in becoming a retrial lawyer, and I’m glad that Jeong Hwan was able to distance himself from his parents a little bit. I’m not fond of the whole living in part, but I’m glad that they were able to sort out their own problems, and decided to make sure that they would never be too comfortable in their own relationship with each other. I also love how compatible these two are for each other, as Jeong Hwan supports her without being too suffocating, and Hye Young supports him and pushes him in the right direction as well. Among all the siblings, I could relate to Mi Young the most, as I do understand how it is to be thirty something and not having a stable permanent job, and as I understand what she went through when it came to her being teased and bullied back in high school. I am glad that she was able to become more assertive as time went by, not only to those she needed to stand up to, but in a way, she was also assertive, in a good way, in her budding relationship with Joong Hee. Their relationship was the one that was full of longing, and you can see how happy they are, and how willing they are to do little things for each other. Lee Joon and Jung So Min definitely had great chemistry with each other, which is why it is no surprise that they are a couple in real life. I didn’t expect much from Ra Young, but I love how her character was developed. Instead of just being crazy about looking good and fashion, she ended up discovering herself and what she’s good at in the process. Her relationship with Park Cheol Soo (Ahn Hyo Seop) was light and fluffy, but it allowed her more genuine side to come out. I also love the fact that she won over Cheol Soo’s father by just being herself. At first, I really didn’t think much about Jun Young and Kim Yoo Joo (Lee Mi Do), but I loved how they actually grew more when they were together. Yoo Joo was able to realized how much pain she caused Mi Young in the past and sincerely apologized, and is the only one who can give Jun Young enough confidence in himself. Jun Young is sweet and supportive of Yoo Joo, and gave her a family as she initially didn’t have one. I also love how matured as a couple, as they were able to get over the hurdle of the miscarriage, and were able to talk more about their future, while still being romantic with each other. I loved how we were given a chance not only to see different characters, but we were able to see different family dynamics and different stages when it came to relationships. The whole identity theft story line was confusing at first, but even though I know that they did it to protect the family, I have mixed feelings about it, especially as Han Soo did have a lot of chances to come clean about it, especially when Joong Hee came into the picture. However, I am glad that things did work out in the end. As mentioned earlier, the parts that I did want to skip were all the moments that Jeong Hwan’s mother was being unreasonable and annoying, but I am glad that we were able to see later on why she is like that, and am glad that her character did soften up in the end. “My Father is Strange” may be daunting for some due to the fifty two episodes, but trust me when I say that you will enjoy every moment you spend with this family and the people around them. A definite must watch that will definitely warm the coldest of hearts. Have you seen “My Father is Strange”? What did you think of it? What did you like or not like about it? Let me know what you think in the comments below!